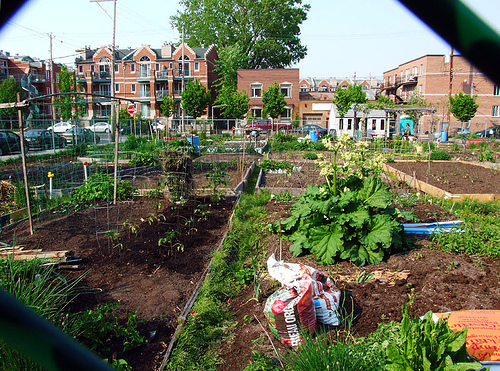 The Shrinking City: Urban Agriculture. As an American who has lived most of my life in economic prosperity I have been brainwashed to believe bigger is better and development is a sign of success. The more we grew, the healthier our economy was. And now that our economy is unhealthy, we are trying to figure out ways to grow again. We see a new building going up as a sign of good things to come. This mentality is certainly not new in America. How did we make our way out of the Great Depression? We built our way out with the New Deal. One of the greatest American building achievements was the Hoover Dam that employed thousands out of work for years. I recently became aware of the concept of the Shrinking City movement, which is essentially the opposite mentality. The idea is for a city, that has been the victim of sprawl and leap-frog development to slowly return to its original core and “urban villages.” During the recession families and individuals have been reducing their lifestyles in many ways. Recent reports show that the average American home size is shrinking (http://blogs.wsj.com/developments/2012/01/18/the-new-american-home-continues-shrinking/) and average credit card debt has decreased in the last year. There is no doubt that recent times have made us watch our pocket books and reconsider what we really need. So we are downsizing, why shouldn’t our cities? Of course with development always comes job creation and in turn, growth, but perhaps some cities’ dependence on superfluous resources are killing their pocket books. For example, if I alone lived in a 4,000 SF mansion the cost of maintaining it would offset any positive benefits. Shrinking a city and going against what is a well-accepted economic movement of growth is certainly revolutionary and suited to only to cities with certain characteristics. One of these cities is Detroit, and it is cutting its loses. Detroit is returning abandoned and desolate parts of their urban grid to agriculture. Urban Farming is an organization that moved its headquarters to Detroit to head up the movement. With the goal of tripling the amount of land cultivated within the city limits every year, the urban city will shrink and the green city will grow. The concept would allow urban villages, or areas of healthy economic urban living, to be preserved, while farming permeates through the once sprawled city. The results in Detroit have been astounding. The largest urban agriculture farm in Detroit is called Hantz Farm, which has taken financial burden off the city by purchasing vacant sites. It has developed an economic business model that shows how it can make money as a company while improving the identity of the city and its residents.They have kept the original city grid and sidewalks to allow the farm to belong to the city and citizens. This allows the new identity of the neighborhood to be rooted in its past, while looking towards the future. Urban farming has numerous and revolutionary side effects, that Hantz Farm undoubtedly benefits from. Health: The poorest people often have the worst health, suffering from obesity and its associated complications. This is because the worst food for you is often the most processed and cheapest. Local food production on a large-scale would offer cheap and healthy food to the poorest citizens. Education and Tourism: I will never forget the English chef Jamie Oliver taking a tomato into the LA public school system where middle-schoolers identified it as a potato. The growing distance between the farm and the plate in America is taking its toll on our children’s education. With farming integrated with our cities, children will be able to witness first hand food, its origin, and production. Ecology: With greening the city will come a return of ecology and wildlife. 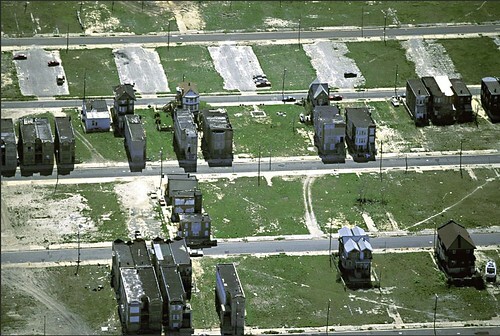 Economy: With an unlimited amount of dilapidated and deprived urban landscape in America is the possibility for a new business industry to develop. This on its own will bring business and investment to cities in a new and creative way. Employment: Hantz Farm on its own employs 600 workers, mostly local residents. Urban agriculture is offering training opportunities to those that otherwise would be jobless. They are able to provide for their families and spend their time in ways that are contributing to their future success. The burgeoning movement in Detroit is exciting and can revolutionize the way we live our lives as city dwellers. Urban agriculture is truly growing from having tomatoes on your balcony, to a huge industry that could transform our country. As blight starts to creep in on suburbs in cities across America after the bursting of an enormous real estate bubble, this concept just might be more relevant than we think.